The best way to sum this trip up in as few words as possible is: far beyond expectations. 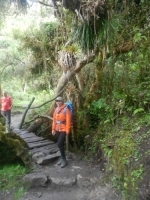 The pictures on the website are good, but they do not do justice of the beauty of the nature that this trail takes you through. 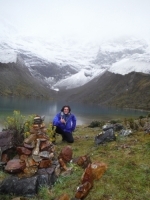 The Salkantay trail with Salkantay.org is an amazing experience! The scenery is unbelievably gorgeous and all the employees are outstanding. 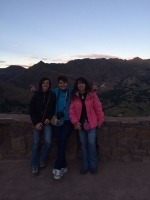 We were able to see the Andes, Peruvian highlands and the Jungle. 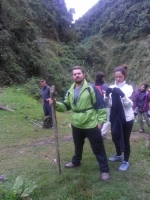 Carlos, the king of the mountain, was the perfect guide for our Salkantay adventure - telling us about the history, flora and fauna of the beautiful and totally changeable landscape and always keeping our wee family happy. Carlos "the king of the mountain" lead us through the wild mountain during a blizzard, with only five feet of visibility we ascended in record time and survived with all out toes and fingers. I did not know what I was getting myself into but don't regret a thing. 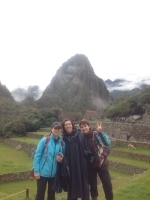 The 4 days and 3 nights on Inca Trail was awesome !! 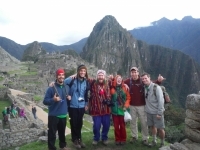 I always wanted to see the beautiful and mysteries lost city of Machu Picchu. 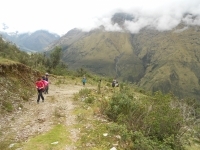 Hiking on the Inca Trail let me experience and learn the Inca civilization. 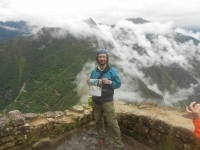 It was not easy but definitely worth all the efforts when I stood on the top of the Huaynapicchu. Briefing is nice and clear instruction what to expect in the following days . Nos lo hemos pasado muy bien y hemos tenido todos los climas y tiempos: sol, calor, lluvia y nieve. 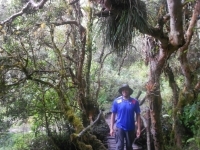 I came to this trek without any idea of what it would entail. In general I feel pretty in shape and active so I didn't feel too worried. Upon getting picked up on Tuesday for our trip we were greeted by our guide who was very friendly. He explained everything in detail and we were on our way. 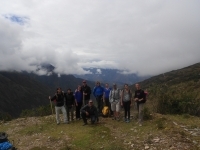 Fantastic trip on the Inca Trail through forest and Inca Ruins and artifacts. The team was simply fantastic, very informative and most importantly FUN! 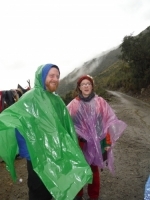 Our guides were Americo and Lysbeth (our group of 4 was merged with a group of 2) and both were just great, providing lots of information and guidance around the trail. 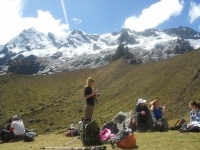 We did the five day Salkantay trek. The first night was a little chilly but the location was beautiful, with stunning views of the mountains and an amazing sky to gaze at when the lights go out. 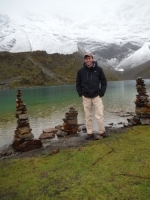 Last 5 days we had our Salkantay trek of 5 days! 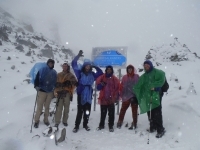 It is a trek, never to forget. First day you start for the warm-up. It is an easy day and you have enough time to meet your new family.